Midwife Martha Ballard assisted in more than 800 births in 37 years and was often called for day-to-day medical treatment of the people of Hallowell and Augusta. 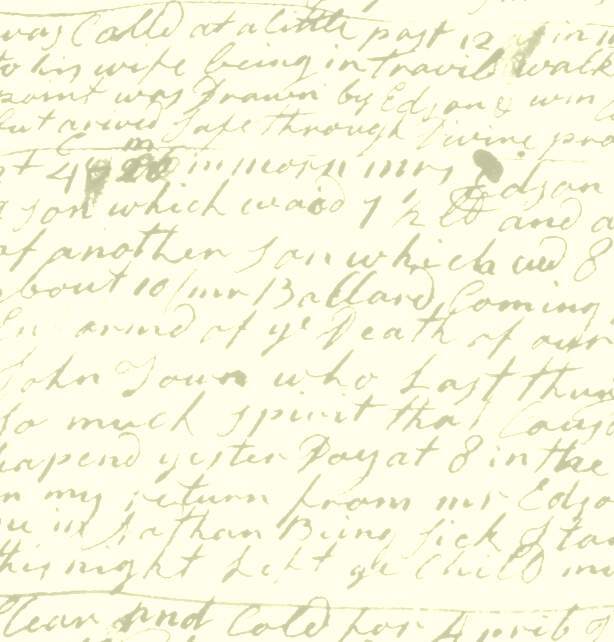 Martha Ballard's diary presents much evidence about 18th-century childbirth and medical treatments. The diary tells us that she often depended on herbal medicine. Use the diary search engine to find specific herbs or treatments. See also Laurel Thatcher Ulrich's Appendix of Medicinal Ingredient's Mentioned in Martha Ballard's Diary. Some other historical Medical and Midwifery documents can be found in the Archive. Midwives delivered most of the babies in Hallowell and Augusta, Maine, but a change had begun in favor of using man-midwives. We'll show you one of Martha Ballard's encounters with a man-midwife, the controversy that swirled around midwifery in that century, and (by comparison) Martha's very successful social childbirth practice that used herbs and other low-tech treatments. See also the History of Midwifery and Medicine, annotated bibliography as well as the Links to Other Web sites: Midwifery and Herbal Medicine for more sources beyond this site.